Just over a month ago, it was reported by TyC Sports in Argentina that Manchester City defender, Nicolás Otamendi, had emerged as a candidate to replace veteran Pepe at Real Madrid. Pepe is expected to end a glorious decade-long stay at the Santiago Bernabéu and Manuel Pellegrini’s Hebei China Fortune has been mooted as a possible destination for the 34-year-old, after the Chilean tactician tried to sign Pepe during his time in charge at City. Many scoffed at the rumour of Otamendi joining Real Madrid, but his agent, Martín Sendoa, later told Radio Continental that the Spanish giants have followed his client since his time at Valencia, and refused to rule out a move. Today, a report by veteran journalist José Manuel García for El Confidencial has added more fuel to the fire of this possibly being more than a typical transfer rumour. According to García, the super-agent, Jorge Mendes, perhaps the most powerful player representative in European football, has offered the Argentina and City defender to Real Madrid for next season. And his big claim is that Nico has given his ‘unconditional approval’ for a deal to take place, with the main barrier being City, who value the defender highly. With up to 18 players reported to be at risk of facing Pep Guardiola’s axe this summer, Otamendi is said to be one of those not in too much danger, and City may want to hold on to the 29-year-old or too much player turnover could lead to instability in the squad. In addition to the likelihood that Pepe will leave, Real Madrid also have concerns about the fitness of Raphaël Varane, and want a proven, physical centre-back to join. 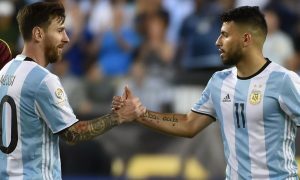 Otamendi ticks the boxes for them and Los Blancos could try to make a deal happen, with the player’s reported approval. City are not a club known to let players go unless they are open to selling, and good relations between the Manchester and Madrid clubs mean a hostile transfer attempt is unlikely. Florentino Pérez would have to convince Pep Guardiola and Txiki Begiristain to sell Otamendi, perhaps offering a player in exchange? City Summary – March 17: New defensive target identified, FA Cup date revealed, Toure, Otamendi and Kompany to leave?